In the 2009 election for Orissa Assembly, Returning Officers were used to reject the nomination papers of candidates that were seemingly disadvantageous to the ruling party. In only these pages, this aspect is discussed in matter of Ranendra Pratap Swain in Athgarh as an instance. Exposed only in orissamatters.com, – no other media had touched this point – the ruling party, after defeat of its conspiracy in even the Supreme Court, in the Court caused reelection, had to make Swain its candidate again to save its face and to keep the Constituency under its clutch, as Swain was certainly to win. North Bhubaneswar is another instance where the Returning Officer “improperly and illegally rejected” the nomination papers of promising candidate Gyanendra Kumar Tripathy as a result of which the ruling party candidate Bhagirathi Badajena could bag the seat. Tripathy preferred an Election Petition (Election Petition No.8 of 2009) in the High Court of Orissa. Badajena adopted dilatory tactics by filing objection to its maintainability, which the Court registered as a Misc. Case (Misc. Case No.6 of 2010) and once the Misc. Case was registered, took several adjournments, though he was legally required to prove his points sans any delay. Had he not played the dilatory tactics, the Misc. Case as well as the Election Case could have been decided in 2010. Badajena had coined his Misc. Case on false and baseless pleas; but as there were points of law, the Court could not instantly reject his objection and posted the case to hear him. he did not cooperate and continued to seek adjournments as a result of which so vast time had to elapse in deciding the Misc.Case. 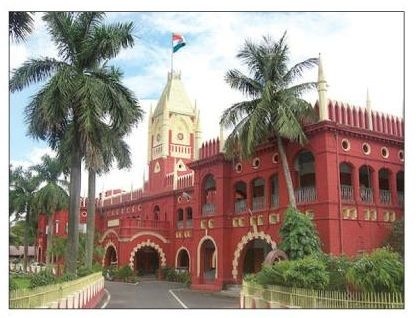 Justice Indrajit Mohanty ultimately heard the Misc. Case on 12 March 2012 and has delivered his judgment on 18 April 2012. He has rejected the pleas of Badajena (the returned candiade) in a brilliant analysis of all the points of law he had raised and the baseless allegation he had made in attempt to mislead the Court. As for example, absence of an affidavit in Form No. 25 was made a point of objection to Tripathy’s case, claiming that Section 81(3) of the Representation of the People Act, 1951 and Rule 94 of Election Rules make such affidavit in this particular Form an unavoidable must for maintenance of an Election Case. But this Form is a must only if the election dispute is raised on the ground of “corrupt practices” and not otherwise. “On a careful reading” (Para 13 of the judgment) of the election petition the Court found that “there is no specific allegation of “corrupt practice” made by the election petitioner. Justice Mohanty has clearly mentioned, “I am of the considered view that since the election petitioner has not made any allegation of corrupt practice in his election petition, there is no requirement for him to make any affidavit in Form No.25 of Election Rules, 1961”. So, on basis of factuality and in analysis of points of laws such as on animo attestendi and “substantial compliance” of the requirement of Section 81(3) of the 1951 Act, Justice Mohanty has rejected Badajena’s questions on maintainability of the Election Despute raised by Tripathy. So, the hindrance willfully created by the returned candidate to decision on the election dispute has been appropriately removed by the High Court of Orissa. Justice for Tripathy should no more be delayed. The Court should now follow the precedence it has created in Athgarh case. Yet, as there is no specific election bench of the Court, we apprehend, justice for Tripathy is far away. In this context, we again put our emphasis on the need of separate and specific Election Bench to give justice to election petitioners that are victims of the mischiefs played by the Returning Officers and other players that endanger Democracy. IT IS INDEED A MATTER OF SERIOUS CONCERN AND AS POINTED OUT, THE MODUS OPERANDI USED IN THE USE OF THE RETURNING OFFICER BY THE RULING PARTIES OR WHOSOEVER HAS A DESIGN AGAINST DEMOCRACY, CAN IMMENSELY HARM OUR BODY POLITIC. IT IS REALLY ESSENTIAL TO BUILD UP PROVISIONS FOR SAVING THE ELECTORAL SYSTEM FROM SINGLE-HAND CONTROL OF RETURNING OFFICERS AND FOR PROVISION OF HEAVY PUNISHMENT AGAINST HIM/HER INCLUDING DISMISSAL FROM SERVICE WHEN HIS/HER GUILTS, LIKE IN ATHGARH, IN CONSPIRATORIAL OR WHIMSICAL REJECTION OF A CANDIDATES NOMINATION PAPERS ARE ESTABLISHED. OTHERWISE IT WILL BE THE PEOPLE WHO ONLY WILL SUFFER AS THREATENED BE THE DEMOCRACY. The Representation of Peoples Act-1951 should be slightly changed accordingly to curb such type of irregularity / misuse of law / Single Handedness by the Returning Officers at the time of Election. In my opinion, one date should be introduced in R.P.Act-1951 that is, after scrutiny date and before the withdrawal date, one date for “Rejection Appeal” within 24hours to be heard by the next higher authority i.e. Election Officer (usually Collectors) as per Election Commission System. So that democracy can be maintained. Secondly, as per the R.P.Act-1951 Sec-86(7) The Election case is to be tried expeditiously and should be finished within 6 months. But this act is of no use – not a single Election Case is finished within 6 months in any High Court in India. So there is a need of separate and specific Election Bench, as you have rightly pointed out, to give justice to election petitioners that are victims of the mischiefs played by the Returning Officers and other players that endanger Democracy.